Keep your system in top condition and maximize the life of your CPU with the AMD Socket AM3+ Copper Base/Aluminum Heat Sink and Fan. It features an aluminum heat sink with a copper base, a 2.75-inch fan and two copper heatpipes for maximum cooling. Plus, it supports Socket AM3+, AM3, AM2+, AM2, FM1, 1207, 939, 940, 754 processors with up to 125W TDP (Thermal Design Power).Simply remove the old heat sink and install the cooler on top of the CPU! 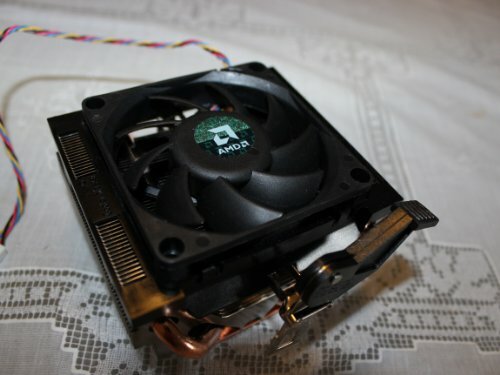 Keep your AMD CPU cool with this AMD Socket AM3+ Copper Base/Aluminum Heat Sink and Fan! Order today!